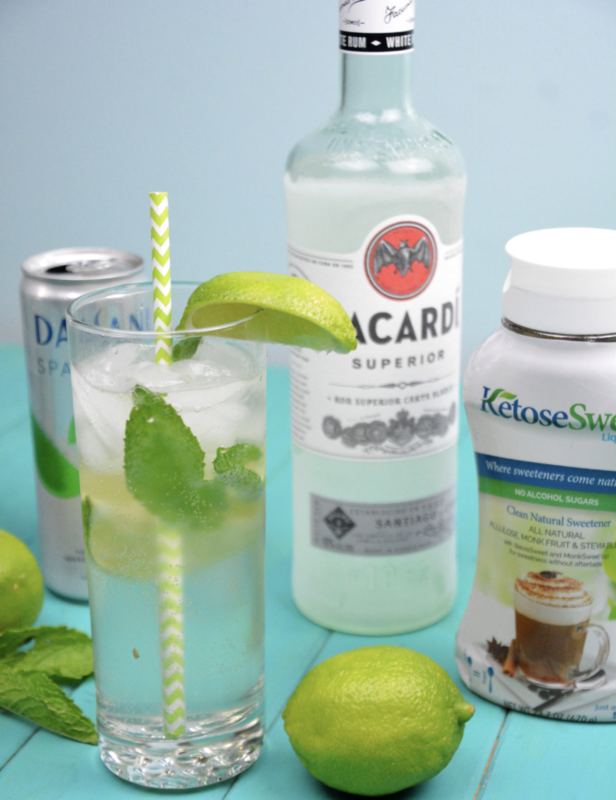 Low-Carb Mojito cocktail recipe is just like the traditional rum, mint and sugar combination, but with sugar-free syrup. Fill a cocktail shaker with ice. Add the rum, lime juice, KetosesSweet syrup, and mint leaves.